From 1976 to 1989, ITG members submitted musical programs that included the trumpet, and that information was published directly in the ITG Journal. In 1990, due to increasing popularity, ITG began publishing a separate volume just for the Trumpet and Brass Programs. This continued until 2000, when publication of the Trumpet and Brass Programs was discontinued. We are reviving this project with an online Google Form, through which ITG members can submit their program information to share with the ITG membership. This project was very popular with ITG members for almost 25 years, but was also a very time consuming and costly endeavor to collect and document hundreds of physical programs by hand, and publish that information in an ITG Journal Supplement. These were compiled and edited by hand by Kevin Eisensmith for many years. With advances in technology, cloud computing and document sharing collecting and sharing program information data is now easier than ever. 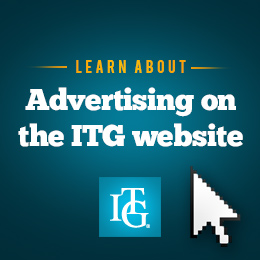 Thanks to Google Documents, ITG has established an online form submission for ITG members to submit their program information to share with the trumpet community. Each year this program information data will be analyzed and the results will be published in the ITG Journal. If you would like to submit your program information you can do so by visiting the following web address: http://trumpetguild.org/trumpet-and-brass-programs. The database has already been started with all of the programs from the 2017 ITG conference in Hershey, Pennsylvania. We encourage all ITG members to submit their program information and have their program data become part of the yearly analysis. About the Author: Scott Hagarty is Associate Professor of Trumpet at Del Mar College in Corpus Christi, Texas. He is a member of the Corpus Christi and Victoria Symphony Orchestras, a founding member of the Corpus Christi Brass Quintet and is in demand as a clinician and educator in Texas Region 14. He holds degrees from the University of Northern Iowa, Yale University and the University of Minnesota and has studied with Randy Grabowski, Allan Dean, Gary Bordner and David Baldwin.